Saints striker looks ahead after netting against Palace. Highlights from Tuesday's match at St Mary's. Shane Long speaks after Saints' defeat to Crystal Palace. Long on disappointing night against Palace. Watch the manager's post-match interview on a tough night at St Mary's. Manager reflects on a disappointing night at St Mary's. Read our report from the Premier League clash at St Mary's. Evening standard journalist Giuseppe Muro gives us some insight on tonight's opposition. Saints defender determined to build on Man United shutout. View our images from Staplewood as Saints prepare for the Eagles. Get ready for the big Premier League clash at St Mary's. Take on our latest quiz ahead of the Palace fixture. Watch the manager preview the Eagles clash. Mauricio Pellegrino previews Crystal Palace. Goalkeeper not underestimating importance of meeting with former club. Find out what's inside the first matchday magazine of 2018. Tickets for the home game with Crystal Palace now on sale. Half price hospitality for Saints' home clash with Crystal Palace. Ticket details for Saints' home clash with Crystal Palace. Crystal Palace and Spurs games moved. It's a defeat for Saints that looked very unlikely at half time, but it's the visitors who are celebrating at the end of a game of few chances played in treacherous conditions at St Mary's. With time running out, Boufal collects the ball on the edge of the box and tries to curl one into the far corner, but it's a routine save for Hennessey. Three minutes for Saints to salvage something. Come on, boys. Stephens misjudges a long clearance from Hennessey and Zaha gets in behind him, but he fires over with an open opportunity to potentially kill the game. Bertrand whips in a corner to the near post that's glanced on by Romeu, but Gabbiadini at the far post just cannot reach it as he throws himself at the ball in vain. It's a final throw of the dice for Mauricio Pellegrino, as Redmond comes on for the closing stages. Townsend breaks down the right and plays a square pass to Milivojevic, who steps on to the ball and dispatches an accurate shot from 20 yards that curls away from the rooted McCarthy and nestles in the bottom corner. Townsend delivers a corner that causes confusion in the Saints box. The ball eventually drops for Milivojevic, who shoots on the stretch but can only steer it wide. Second change for Saints as Mauricio Pellegrino calls on a second striker. Gabbiadini is on for Højbjerg. The striker latches on to a ball over the top and shoots early, but his effort rises high over the bar from 20 yards. First change for Saints sees the skipper enter the fray at the expense of Ward-Prowse. From the second phase of the set-piece, Palace throw another ball into the box that's nodded down by Benteke and lashed into the roof of the net by McArthur from six yards. All the noise is coming from the travelling fans now. Zaha runs down the left and feeds the ball into Benteke's feet on the penalty spot. The big striker turns and sends a low shot towards the bottom corner, but McCarthy is down sharply to make a terrific one-handed save. That could prove crucial. Second change for Palace is like for like, as Sako replaces Schlupp out wide. The first caution of the night is handed out to Palace defender Fosu-Mensah. The Eagles have struggled to get anything going so far. Pied plays a long ball over the top, but it zips away off the sodden pitch and the Irishman has no chance of catching that. It seems the wind is at Saints' backs in this second half. Fosu-Mensah gets forward from right-back for the visitors, but he gets his cross all wrong as it sails behind for a goal kick. It's not been a night for the purists - the conditions are wreaking havoc down on the South Coast. The second half is under way! Palace have kicked off and the action is up and running again. More of the same please, Saints! It's a half time change for Roy Hodgson, as van Aanholt comes on for Cabaye. Looks like Palace will play with an orthodox 4-4-2 formation in the second half. It's half time in monsoon conditions at St Mary's, where Shane Long's first goal of the season after 17 minutes separates the two teams. Forty-five minutes to go! Zaha is incensed when Romeu's crunching tackle is not punished, and seeks retribution with a strong challenge of his own on Pied. Free kick given, but the defender is in the wars again! Townsend lines up a shot from 25 yards that bounces awkwardly in front of McCarthy, who gets the slightest touch to help it on its way past the post for a corner, which Saints clear. Romeu tries his luck from long range but just cuts across the ball as he shoots and it veers away from Hennessey's left-hand post. There's a break in play as Pied goes down injured, but the Frenchman is fit to recover after a brief stoppage. Cabaye releases Zaha as Palace break suddenly. Zaha plays in Benteke to his right, but Bertrand recovers brilliantly to stop the striker with a crucial foot in. It's a first goal of the season for Long, who dispatches Pied's low cross with an unerring first-time finish from 12 yards! Get in! What a strike! Romeu plays a square pass to Højbjerg, who tries his luck from distance with a sweet shot brilliantly tipped over by the flying Hennessey. The Serbian gets in front of Kelly and whips in a cross from the left, which threatens to cause problems for Hennessey but the keeper watches it drop on to the top of the net. First glimpse of Wilfried Zaha in full flight, as he tricks his way into the box but rather drags his shot on his left foot and Saints clear the danger. No doubt who is the visitors' biggest threat tonight. Another half-chance for Saints! This time Tadić picks up the ball from Boufal and fires over from 20 yards. Plenty of early intent from the hosts. Keep it up, lads! Saints fly out of the blocks and threaten to open the scoring in the very first minute, as Long seizes on a loose ball in the box and fires over from 15 yards. The players have exchanged handshakes and the Saints team are forming their traditional huddle. We're ready for kick-off at St Mary's! today is a very important game. we need to keep the same spirit we had against united. three points would help our confidence - we need to win. Mauricio Pellegrino makes two alterations to his side who drew 0-0 at Manchester United on Saturday. In come Jérémy Pied and Ryan Bertrand in the full back positions, as Jack Stephens switches to central defence. Sam McQueen drops out, while Wesley Hoedt is missing with concussion. 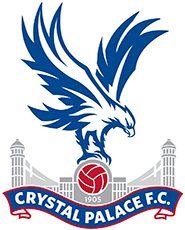 Starting XI: Hennessey, Fosu-Mensah, Kelly, Tomkins, Schlupp, McArthur, Milivojevic, Townsend, Cabaye, Zaha, Benteke. Subs: Speroni, Delaney, Riedewald, van Aanholt, Souare, Lee, Sako. Starting XI: McCarthy, Pied, Stephens, Yoshida, Bertrand, Romeu, Højbjerg, Ward-Prowse, Boufal, Tadić, Long. Subs: Forster, Bednarek, Targett, Lemina, Davis, Redmond, Gabbiadini. 30 minutes until team news! Who would you like to see lining up for Saints tonight? Find out here who Mauricio Pellegrino has selected to start at 6:45pm. Watch the players arrive at St Mary's ready for action! Southampton have been victorious on the last three occasions that Crystal Palace have visited St Mary's. Remind yourselves of the latest of those triumphs with these highlights from the last time we hosted the Londoners last April. we know that palace are playing much, much better than before. it will be a really competitive, tight game, and we need to play at our maximum to get the three points. we haven't had long to prepare, but the recovery after a good performance is always easier. We caught up with Saints boss Mauricio Pellegrino after his side's 0-0 draw at Old Trafford on Saturday, as the manager's focus immediately switched to tonight's meeting with the Eagles. We're counting down to kick-off ahead of tonight's Premier League encounter at St Mary's. Relive our victory at Selhurst Park in the reverse fixture and find out how you can keep tabs on the action in this short video.